The true story of a family's fight for survival in Thailand amidst the horror of the 2004 Indian Ocean tsunami, The Impossible is a heartfelt drama elevated by Naomi Watts' dauntless performance. 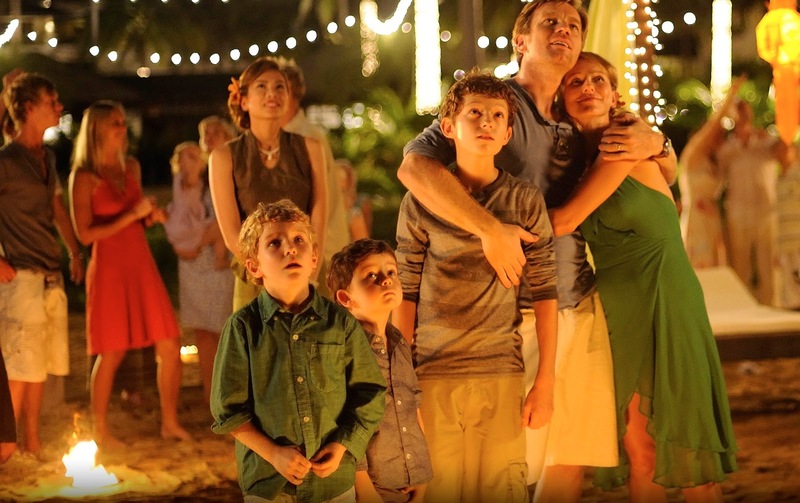 Maria (Watts) and Henry Bennett (Ewan McGregor) travel to the scenic coastal resort of Khao Lak, Thailand, for a Christmas vacation with their three sons, 12 year old Lucas (Tom Holland) and youngsters Thomas and Simon. After enjoying the sights for a couple of days, the tsunami hits unexpectedly, and with overwhelming force. The resort, along with the entire coast, is destroyed. The rushing debris-filled waters sweep away Maria and Lucas, but they manage to stay near each other. Injured, dazed and confused, they eventually make it to unsubmerged land, where local villagers find them and drag them to a nearby hospital, with Maria suffering a deep gash on her leg. In the chaos of the hospital, Maria and Lucas are separated. Miraculously, Henry, Thomas and Simon also survive the tsunami, and take refuge in the destroyed resort, with Henry insisting on searching for Maria and Lucas along the flooded coastline. Eventually Henry takes the wrenching decision to send young Thomas and Simon to a mountain aid camp, while he stays behind to continue the search. With Maria on her own, losing strength and requiring surgery, the family is splintered in a foreign land overwhelmed by an unimaginable natural disaster. 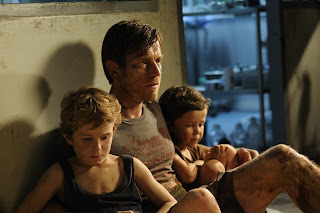 Based on the true story of Maria Belon's family, the Bennetts of The Impossible are intentionally not provided with a nationality, and they represent all vacationers whose lives were forever altered by the tsunami. The film provides a human and personal face to a tragedy that took more than 230,000 lives, admittedly with a focus on the foreigners. There is a drawback in allowing the family to fade too much into generic territory. There is a minor squabble between the brothers, and a short conversation about Henry possibly having to look for a new job. But the family's background is otherwise left as a blank, and this does reduce the impact of the film, since only so much empathy can be generated towards relative strangers. When it comes to recreating the tsunami, Spanish director Juan Antonio Bayona captures the horrifying power of the surging waves, and succeeds in explaining the big by focusing on the small: Maria's body being twirled like a small doll, colliding with large pieces of debris, personalizes the agony. By minimizing the use of CGI and instead throwing his actors into water tanks for a gruelling shoot, Bayona gives The Impossible an authentic look. When Watts and Holland emerge from the water bewildered and covered in bruises and blood, the damage to their bodies looks genuinely painful, and in The Impossible, there is no miraculous healing in the next scene. Most of The Impossible is taken up not by the destruction but by the aftermath, and the movie finds plenty of opportunities for emotional moments. Survival, unexpected separation, loss, reunion, desperation, abandoned children, and the kindness of strangers: the Sergio Sanchez script keeps the tears flowing. And holding the film together is Watts, as she throws herself into a role that drains the body and the mind. Watts spends most of The Impossible either trudging through muck or on her back in makeshift hospital rooms awaiting treatment, and in every scene she is either wet, bloodied, swollen, or pale enough to kiss death, or any combination thereof. Yet Watts is convincing as a woman who refuses to give up or panic, and who insists that others also be helped whenever possible. The Impossible is a testament to the human spirit, taking everything that nature can throw at it, accepting enormous losses, but never abandoning the burning desire to stay alive and thrive.